Dial-a-Dope: With Pioneer Park under surveillance, more drugs are being delivered. Location used to be everything in business—even the drug business. But with recent camera surveillance squeezing the dope business out of Pioneer Park, more dealers are thinking outside of the box: Why sling in a park or alley to customers, when you can bring the product to the customers? “Dial-a-Dope,” as the delivery method is dubbed by local law enforcement, is not a new phenomenon. 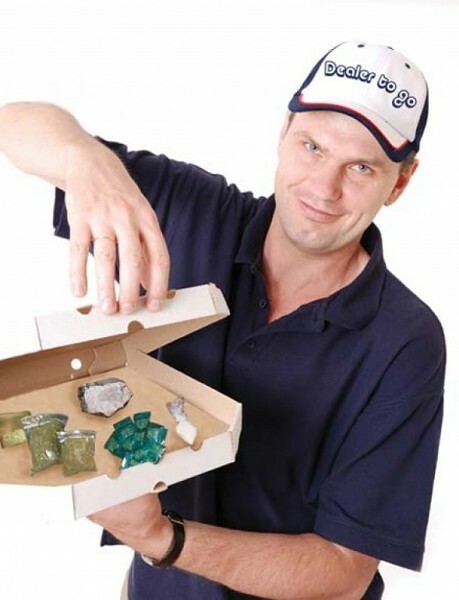 Dealers have often arranged narcotics deliveries by phone, with a dealer dropping off their product in meeting spots or right at people’s houses. What is troubling Salt Lake City Police Department narcotics officers is the significant spike in complaints in this kind of trafficking now that cameras have effectively shut down the drug trade in Pioneer Park. With more drug deals going mobile, SLCPD detectives are counting on their new intelligence-gathering Fusion Center to adapt to the evolving trends in the local drug business. The alleyway sweep took only three weeks to set up once police had gathered a few complaints from nearby business owners, SLCPD Lt. Mike Ross told the press conference. But stopping the mobile traffickers, Ross says, is more challenging when the points of sale continually shift across different meeting spots in the city. The moving targets require longer surveillance hours and more manpower, including unmarked cars and bicycle units. He says agents have discovered drug houses that have multiple delivery cars outside, while inside, one person acts almost like a “dispatcher” for orders. “Then the dispatcher will call his runners to go and deliver,” Ross says. Despite the added difficulty in nailing down these moving targets, Ross says the police efforts have been aided by the new Fusion Center, an intelligence-gathering center that coordinates with local law enforcement, the Department of Public Safety and federal counterparts. Ross describes the Fusion Center as a “force multiplier” in the way it organizes department resources to commit manpower to trouble spots. “All intel comes into one area, and then we can figure out how to battle the problem right there,” he says. SLCPD Cpt. Mike Brown, commanding officer for the Fusion Division, says the center has helped free up manpower to commit to added surveillance of mobile dealers by aligning the projects and resources of different departments, helping to ease an interdepartmental communication barrier. Brown says the Fusion Center houses a number of units in the division, including narcotics. The center also employs seven officers for each city council district, each with a special expertise in that area of the city. But, as law enforcement hopes to push out dealers who maintain specific turfs for dealing, the potential increase in more elusive, mobile dealers is a reality Chief Burbank is ready to accept. Anyone who witnesses possible drug activity is encouraged to call 801-799- DRUG (3784) where they can leave an anonymous message with the SLCPD.